Everyone wants to have a smooth and clear face. With so much pollution around us, we need to take extra care of our face. I'm sure almost all of you follow a CTM (Cleanse, Tone and Moisturize) routine that works for your skin type. Further to this, we also need to exfoliate our skin on a regular basis to remove dead skin and reduce blackheads. 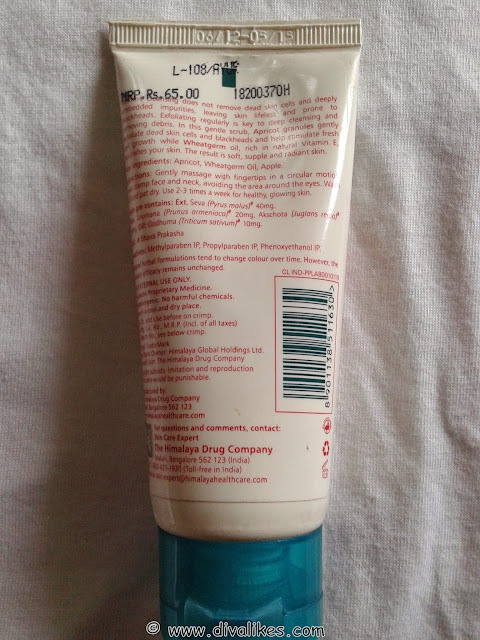 There are so many scrubs available in the market but I chose Himalaya Herbals brand because I have used other products from this brand and haven't been disappointed so far. Today I am going to review Himalaya Herbals Gentle Exfoliating Apricot Scrub. Read on to know how it fared with me! Routine cleansing does not remove dead skin cells and deeply embedded impurities, leaving skin lifeless and prone to blackheads. Exfoliating regularly is the key to deep cleansing and removing debris. In this gentle scrub, Apricot granules gently exfoliate dead skin cells and blackheads and help stimulate fresh cell growth while Wheat germ oil, rich in natural Vitamin E, nourishes your skin. The result is soft, supple and radiant skin. Himalaya Herbals Gentle Exfoliating Apricot Scrub comes in an opaque tube with a flip top. 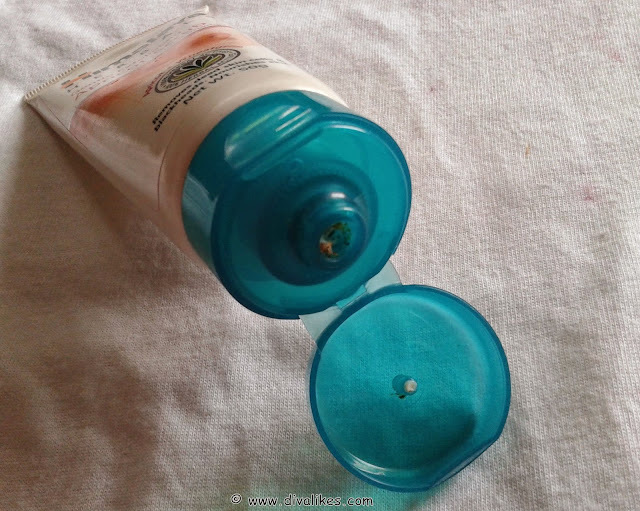 The product comes out easily when the tube is pressed. It's a very simple and fuss free packaging. It is travel friendly because you won't face any leakage issues with this product. The scrub is light brown with brownish granules in it. It is creamy and the granules do not feel harsh in any way on my skin. 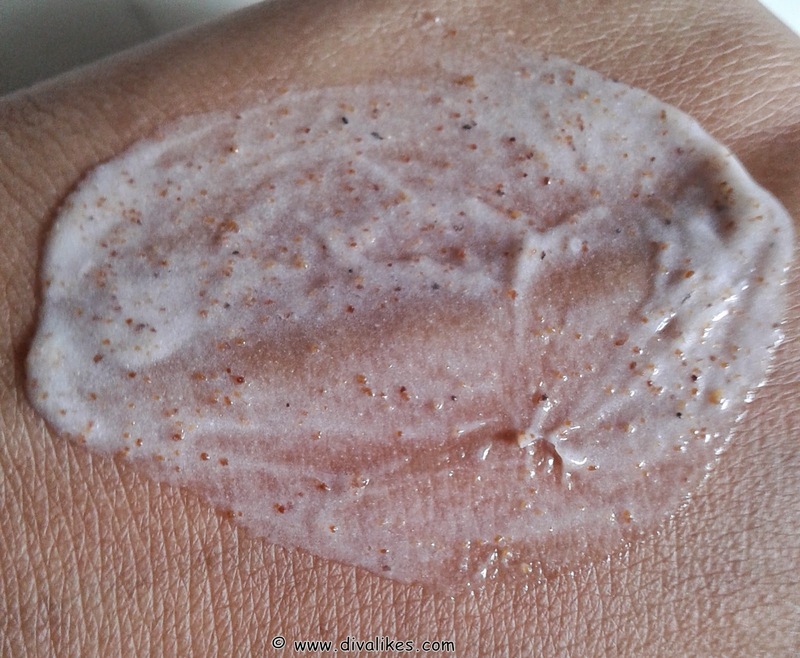 A lot of scrubs feel really harsh but this one exfoliates my skin very smoothly. Though you are supposed to use this product 2-3 times a week, I use this only on Sunday's because that is the only day I have time to pamper my skin. After using this I can clearly say that this definitely makes my skin feel soft and smooth. It does work on blackheads as well. My skin doesn't feel dry after using this. It has a sweet smell to it which lingers on for a few hours. Some people may not like that aroma, but I'm fine with it. Simple and travel friendly packaging. 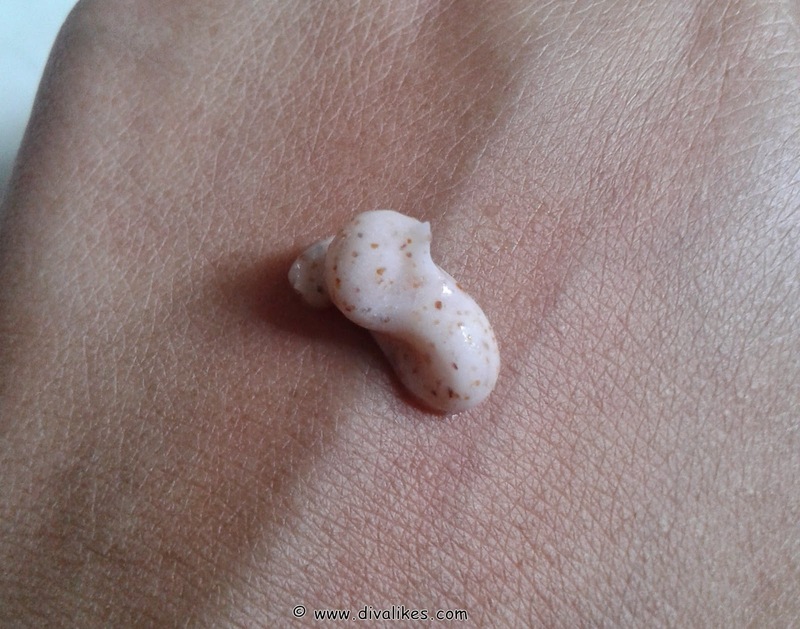 Granules are not harsh on the skin. Makes my skin feel smooth. Has a sweet smell to it which lingers. Some people may not like it! Are you looking for a scrub which is not harsh? 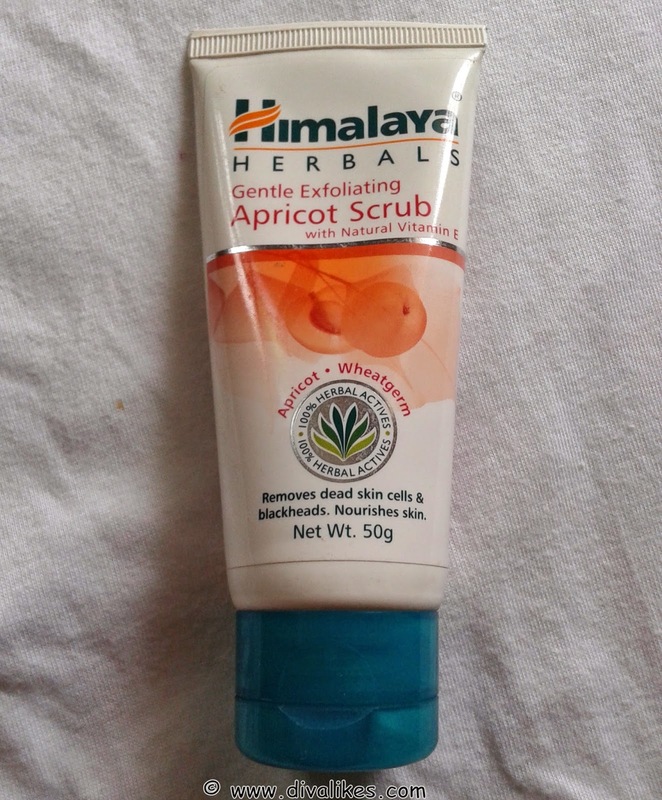 Then go and buy this Apricot Scrub from Himalaya Herbals. Once again this brand hasn't disappointed me! Hope it works for you as well. There are other variants of scrubs which you can check out in case you don't like this one. I feel the granules are harsh to look at but good that they caused no prob for u! Lucky me that the granules weren't too harsh on me! People with very sensitive skin should avoid it. 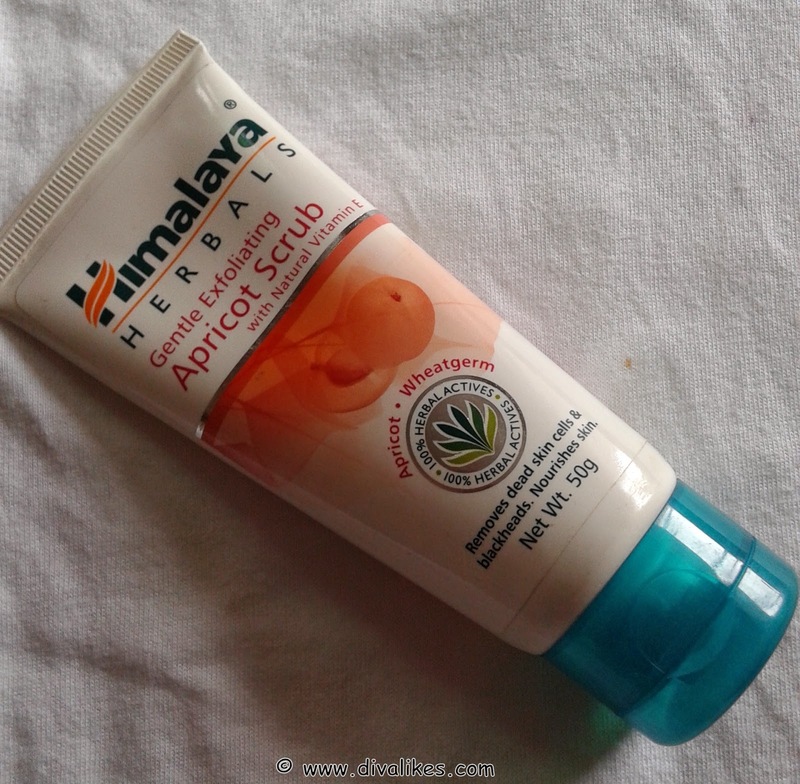 I have not used the Himalaya scrub actually, but I love love love their neem and mud face packs! Thanks Salomi :) Do get it a try... it has worked really well for me!